What’s wrong with this picture? Firefox is currently at Version 12. 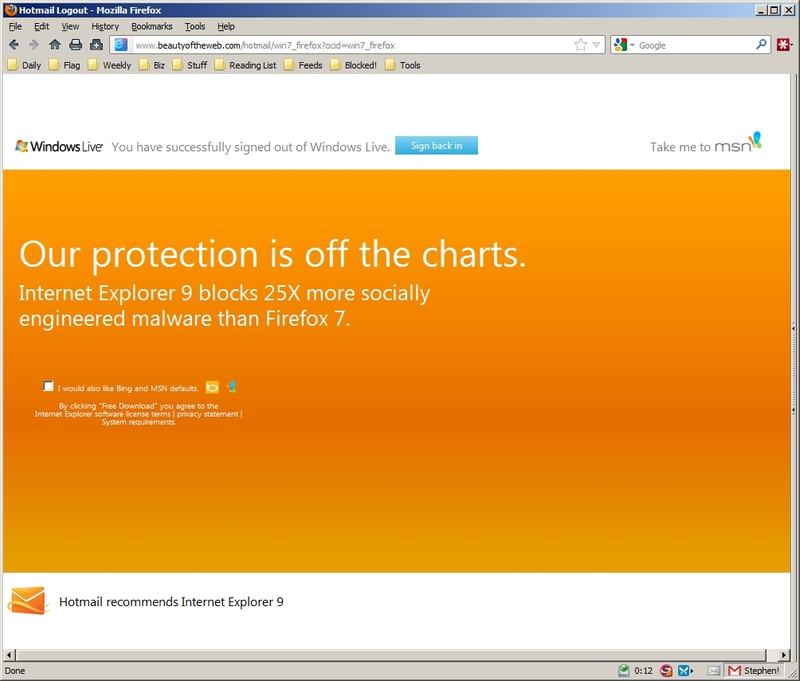 And I use Noscript which prevents scripting (the source of most web-based malware) on unfamiliar websites. And sadly IE9 does not have anything similar. Here’s an idea, Microsoft, why don’t you stop assuming that we’re all idiots and start being truthful? Is that too much to ask?